Working on any construction loan means following pretty specific processes, especially when working with a risk mitigation company. Large projects often require additional steps, protocols, and evaluations in order to make sure that they make it to completion. 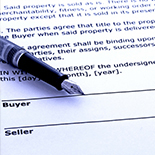 These risk mitigation services are often managed by a specialty company, like Granite Companies, and not the lender. There are many different risk mitigation strategies that a company will use in order to reduce risk and help make sure the lender’s final project matches the plans. One of the many steps involved in this process is regular construction draw inspections. A construction draw inspection is a process conducted by trained and certified inspectors, where the inspector checks on the construction site. They are specifically looking at where in the timeline the project is, the accuracy of the project to the original draw request, evaluate the budget based on the point in the timeline, and identify and check stored materials on site. This process is critical prior to funds dispersal for different stages of the project. Why is a Draw Inspection Important? A draw inspection allows the construction loan lender to know exactly where in the process the construction site is compared to the timeline. As a risk mitigation company, Granite Companies then disperses funds based on the results of the draw inspection. For every stage that is successfully completed, funds can then be dispersed through one of two methods. A draw inspection is also extremely important in tracking funds, not just in managing the project timeline. The draw inspector accounts for all cost requests and will compare the line item to the on site representation. 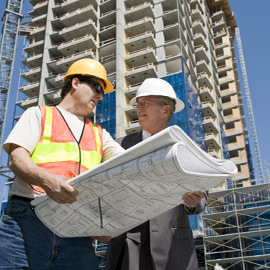 Additionally, a draw inspector is able to process change orders, and identify the total materials and services present. This is just one risk mitigation service that helps to account for all the money from the construction loan that goes into a project. Here at Granite Companies, we understand that working with freelance inspectors can lead to inconsistencies in draw inspections, as well as other necessary inspections. It’s important to have accurate inspection information in order to keep a project moving forward. That’s why Granite Companies established a national network of qualified inspectors that is facilitated through us. This allows for a reduction of risk in your project inspections and guarantees consistency, no matter which inspector visits the construction site. Additionally, Granite Companies helps to improve the turnaround time on your draw inspection by providing access to the report and images through our online portal any time of the day, any day of the week. 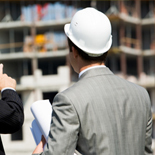 Granite Companies does more than just provide risk mitigation services for construction lenders. We want to see every project succeed as much as each and every individual working on it! Contact us today for more information.